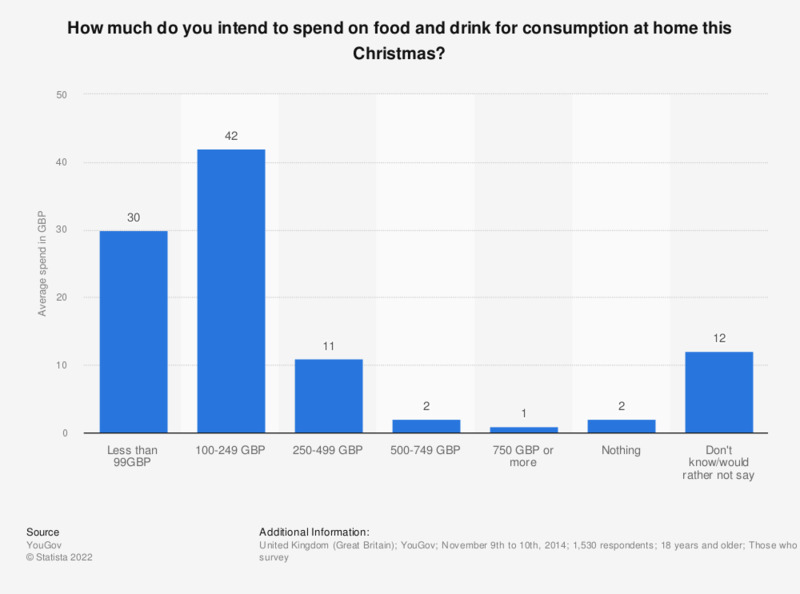 This statistic shows the average amount households plan to spend on food and drink for consumption at home during Christmas in Great Britain in 2014. Of respondents 42 percent said they plan to spend 100 to 249 British pounds on food and drink. A further 30 percent said they would spend less.